What a beautiful Easter egg this Maileg metal egg in blue is! It is covered in a lovely egg and flower pattern. 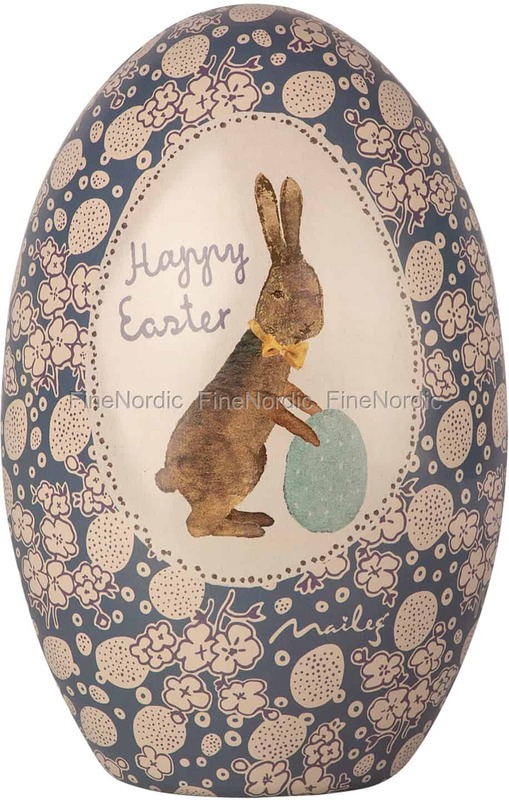 On the front of the egg you can see a bunny holding an Easter egg and above him you can read the words: Happy Easter! It is a wonderful gift to bring along for the hostess, when you get invited to an Easter brunch. Best of all, you can open this 13.5 cm tall egg and add a few sweet treats to it, before you give it away as a present. This Maileg egg can also serve as a pretty Easter decoration on a shelf or table.